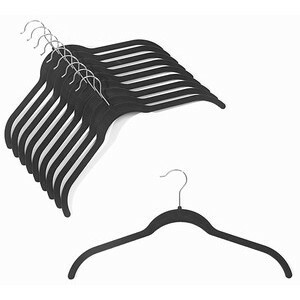 At 1/4" wide, these amazingly sturdy top hangers are great for any shirt or coat. The soft coated surface will keep your clothes from slipping off or sliding out of shape. The ultra-thin design keeps your clothes wrinkle-free and ready for wearing. 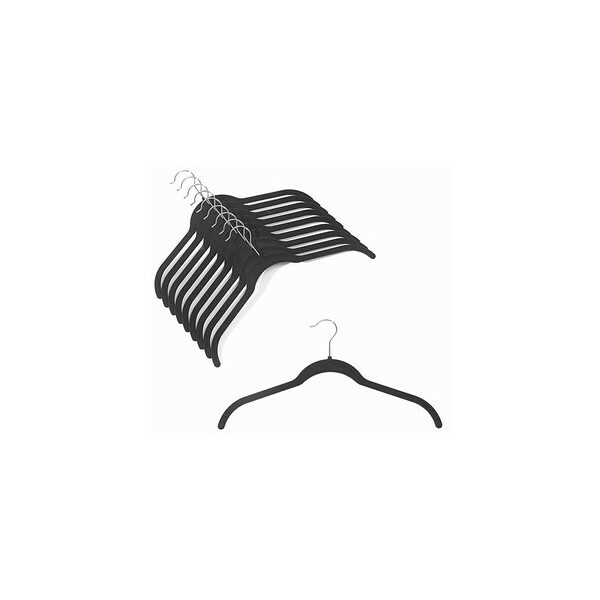 The chrome hook adds to the strength of these versatile hangers.